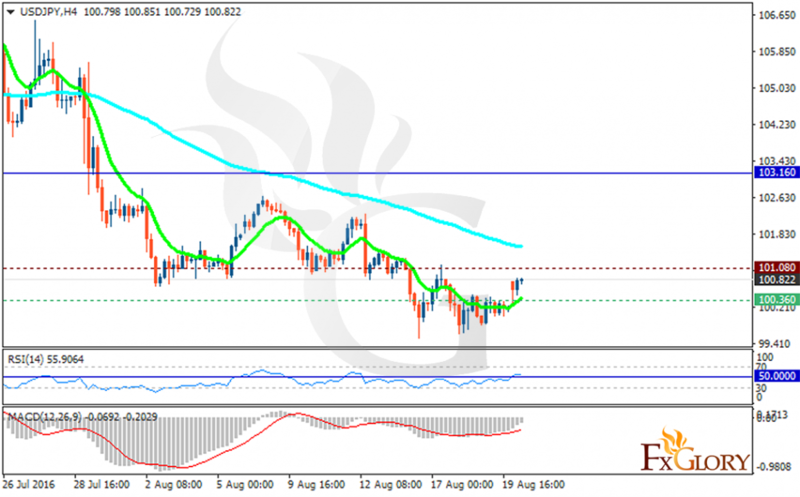 USDJPY has been supported by the Asian session along with the general growth of USD. The support rests at 100.360 with resistance at 101.080 which both lines are below the monthly pivot point at 103.160. The EMA of 10 is moving with bullish bias and it is located below the EMA of 100. The RSI is above the 50 level and the MACD indicator is in negative territory. The pair seems bearish at the moment, sellers can target 98.97 for now.